An extra plot of land in disuse can always turn practical by raising a greenhouse for vegetables. In urban gardening, an expanding trend is growing your own food in your own garden, the so-called foodscaping concept. Even though it may seem a hard work ahead, building a greenhouse has to heed a few easy steps. 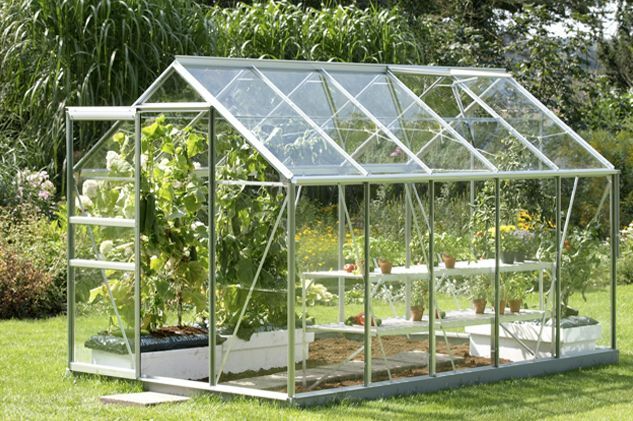 Growplanet.com shows us how to build a greenhouse for vegetables by following these easy tips. First, we have to decide what sort of greenhouse we want: free-standing, which are completely independent structures, and lean-to, which use an existing wall to support the other three. Another important choice concerns the heating source: whether a heating system has to be incorporated, a more expensive choice, or if you rely solely on sunlight, which is the recommended choice for a small greenhouse. Of fundamental importance is where the greenhouse should be built. If you choose the second of the aforementioned options, then it is preferable the greenhouse sits in direct sunlight. On the other hand, make sure the interior doesn’t get overheated or else the high temperature will harm the plants. 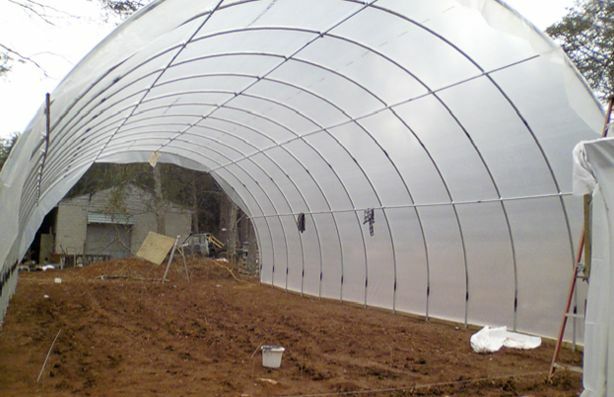 The next step in how to build a greenhouse for vegetables is calculating its surface. With this in mind, take into account that, during the hottest part of warm days, if the greenhouse is too small, the temperature may become too high. On the other hand, over winter, a greenhouse that is not very large accumulates less heat and loses it more rapidly than a large one. Also, when doing the math for the surface, do not forget to include the pathways which allow you to move around. The supporting structure materials – the next choice you have to make. Among the options are wood – the handiest, but which calls for maintenance in time, the plastic, practical but very unaesthetic, iron, resistant, but heavy, steel and aluminum, probably the best choices, but more expensive than the others. As concerns the covering, the options divide in two: glass, heavy and expensive, but also fragile, and Plexiglas, easy to handle and good thermal insulator. Still, when choosing your covering don’t forget to take into consideration the typical weather conditions of the area which you live in and if there are strong winds or it’s likely to snow heavily. In this case, your greenhouse must be suitable and stronger. 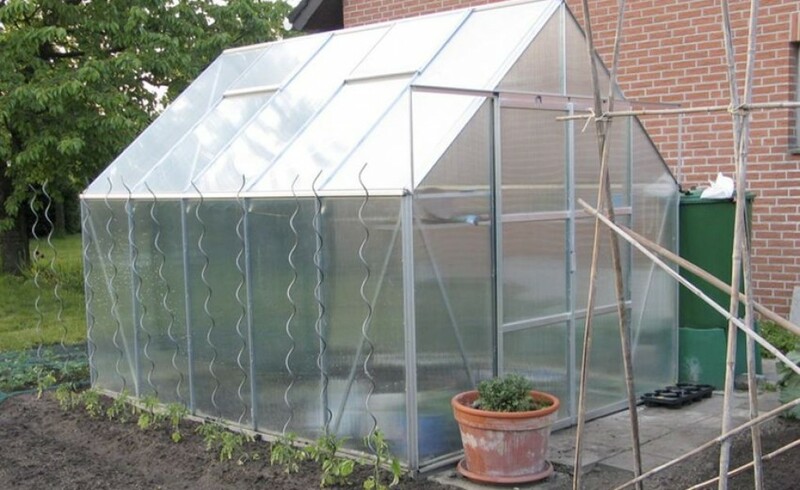 Last, but not least, in building a greenhouse you also have to consider ventilation, whether we want to decrease the temperature or humidity or just let the stale air out. Make sure such openings are included in the planning. As concerns irrigation, placing large containers of water inside should do the work. You can also make sure the water will adjust to the same temperature the interior environment has.